All private landlords and letting agents taking deposits for assured shorthold tenancies (ASTs) in England and Wales are required to safeguard them with a Government-authorised tenancy deposit protection scheme. As the only custodial scheme, The Deposit Protection Service is free to use for all landlords, letting agents and tenants. Leading the way in comprehensive landlord and tenants insurance backed by over 35 years of experience. As one of the leading financial service groups in East Anglia, we provide expert, bespoke, professional advice to personal and corporate clients in the eastern region and beyond. While all our clients are different, they all enjoy the benefits that only truly independent advice can bring. 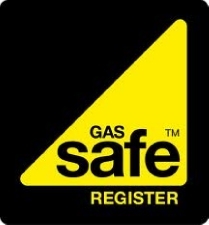 The HomeLet strapline is 'taking the risk out of property rental', and we live and breathe this in every way possible. So whether you're a letting agent wanting to protect your management income, your premises or your business reputation; you're a landlord wanting to protect your rental income, your investment property or your liabilities; or you're a tenant with personal possessions to protect, HomeLet is here for you. 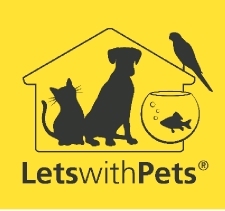 Dogs Trust's Lets with Pets campaign aims to help pet owners find privately rented accommodation with their pets. We have put together advice for pet owners on how to find pet-friendly accommodation as well as information for landlords and letting agents on managing properties with pets. HomesNow Cambridge offers many different property types for rent in Cambridge as well as for sale. Flats in Cambridge can be had in the heart of the city as well as in the outskirts and our extensive listings means there is something for everyone in the city. Homes in Cambridge are available for rental and for sale through our extensive website listings. Use HomesNow Cambridge to find property in Cambridge including flats, houses and apartments both for sale and for rent. Short term rentals on properties in Cambridge as well as long term lets can be found on the HomesNow Cambridge website where sales can also be viewed. Cambs Property Bureau Ltd has Client Money Protection (CMP) through Hiscox.